Welcome to the ultimate guide on how to start a travel blog and get paid. In the last 3 years I’ve helped hundreds of people realise the ultimate blogging lifestyle. I’m talking about real lifestyle change through blogging. Can you imagine saying goodbye to that overbearing boss forever? Redesigning your life by building an online income stream? Having the freedom to travel the world? You can and today I’m showing you how to turn that dream into your living reality. It’s time to learn how to be your own boss. It’s low-cost and low-risk. You’ve got nothing to lose and everything to gain. Once your travel blog gains traction (and it’s only a matter of time if you follow this guide), the possibilities are endless, the earning potential ENORMOUS. When I look back at the process I followed to create each of my online business ventures, I ask myself what steps did I take? Over the years I’ve narrowed it down to a fine art, cutting out the fluff (not being busy for busy’s sake) and focused in on the effective actions that will get you real results in the quickest time. Does starting a travel blog seem like an immense task? Not sure exactly how to go about it or where to begin? I’ve found the best way to get a handle on something is to break it down into smaller, more manageable steps. This is exactly what this post will do for you. Going forward, your travel blog is going to be your online creative platform you’ll use to share your backpacking experiences and jetset adventures with the world. Follow this guide and you’ll forever fix your travel blog as the go-to destination on the virtual map. What do you need to pack into your suitcase before heading out? Whether you’re backpacking through tropical jungles in south east Asia or taking in the rays on the deck of a Mediterranean cruiseliner, the chances are you arrived at your destination because you set out a clearly defined path to get there. It’s exactly the same with your travel blog. First things first, you have to decide where you’re going. Grab your notebook and sit down somewhere comfy. Put aside the next 10 minutes and scribble down the answers to these 7 rapid-fire questions. Trust me, this is going to help give your online venture the very best chances of success and make it easier for you in the long-term. Q1. What’s your primary objective, your reason for wanting to start a travel blog? Is to have a creative outlet? Share your experiences? Become internet famous? To make lots of money as a blogger and be able to fund your travels? All of the above? Q2. Who are you writing to? Is your blog for gap year students, honeymooners or retired couples? Having a target person in mind will help you define your writing style and determine your marketing strategy going forward. Q3. How will you communicate? What mediums will you use? Podcasting? Instagram? A YouTube channel? The great thing about blogging is that it can be a great mixture of text, audio and video nicely complimented but a good dose of social media. A blog is more than a blog; it’s part of your bigger online platform and brand. Q4. How often can you publish new content? How much time can you put into this? Can you hit publish once or twice a week? It’s better to set realistic goals you know you can achieve without feeling like it’s a chore. Remember to take fun seriously, the most successful travel bloggers are those who know how to have fun with it! Q5. How will you let your target audience know about your blog? Q6. How will you monetise your site? As you’re reading a post about starting a travel blog and getting paid, I assume you’re looking to make money too.What are your online income goals? How much would you like your blog to generate monthly? Stick with me for my top website monetising methods and make money blogging training that works. Q7. How will you make you blog stand out from the rest? There’s 2.7 million blog posts published every single day. It’s okay, the internet is a big enough space for all of us 🙂 but it’s worth thinking about what your blog’s unique selling point (USP) will be. How will your travel blog be different? What’s your unique angle? How will you help your readers? Basically, instead of adding to the noise, how can you rise above it? But I know this isn’t just a hobby for you. You want to build your travel blog into your very own traffic-generating, profit-making online business. This requires a whole different mindset. An entrepreneurial mindset. Can you imagine where you’d be if your blog could reach just 00.1% of the 3.5 billion daily internet users? And those 3.5 billion users only account for 40% of the world’s population – this is going to double before 2025. Travel blogging is an awesome way to share your global adventures with a truly global audience. It’s going to the medium by which you can inspire others to abondon comfort zones, share your stories and ideas and make money along the way. Your travel blog (done in the way I’ll show you) will become your online income producing asset that replaces your full-time income and frees you up to design the kind of life you want for yourself without being held to ransom by the monthly pay packet. From cafes in Venice to the snow-topped mountains of Nepal, there’s a whole army of bloggers out there living the internet entrepreneur lifestyle. The lucky few who have finally escaped the tyrannical overlords and confining office cubicles. I write this to you today from the small coastal town of Sriracha, about 90 minute’s drive from Bangkok, Thailand. This is where I live now, thanks to the passive income I earn from my blogs. And if I can do it, you can do it too! Radical lifestyle change is within your grasp, just beyond your doubts and fears is the life you’ve always dreamed of. Travel blogging can be a total blast and you can make a hell of a lot of money doing it, but it’s going to take more than the single click of a button. Starting your travel blog is the easy part, to make it into something outstanding you’re going to have to work at it – giving out awesome content, building up a following, getting ranked in Google, all before you’ll make any money. Travel blogging is competitive and it’s going to take WORK to make your blog stand out. The reason I’m telling you this from the get-go is because after 3 years of doing this, I’ve seen 100’s of aspiring online business bloggers go through my free 10 day make money blogging email course and there are those who see it through and experience success and breakthrough… and those who don’t. Common sense tells us it takes time to build a business but for some reason, when it comes to online business, something clicks in our brains and we expect instant, almost automatic success. Without even knowing it, people fall into the ‘get rich quick’ mentality that ultimately destroys them. Because of course here in the real world it doesn’t happen like that… success is incremental. You don’t ‘get there’ (whatever your incomes goals are) in one fell swoop, rather you turn your dreams into reality by taking a series of small, accumulative steps. In a nutshell: give yourself time to learn a new skill set and give your blog time to flourish. I see too many people give up right when breakthrough was just around the corner. They decide ‘I tried it and it doesn’t work‘ and walk away, giving up on their dreams of travel blogging forever. It’s heartbreaking to see. Please do your future self a huge favour and don’t let impatience get the better of you. Unless you’ve done this before (and I guess not) then you’re doing something new. This probably definitely means you’ll be doing things you’ve never done before, just makes sense right? I remember back in 2014 when I knew nothing about making money as a blogger, heck, I’d never even started a blog before, but I was ready to take action. I took Wealthy Affiliate up on their offer of free affiliate marketing training and never looked back. I hungrily worked my way through the course and completed the action steps at the end of each lesson. In other words, I took action on what I was learning (ie. not just learning for learning’s sake). By the end of the course I had a fully-fledged and profitable online business on my hands. Seriously though, don’t let fear of the unknown stop you! It’s an adventure and who knows where your travel blogging venture will take you?! I hadn’t planned on talking this much about mindset but I’m glad I did – your thinking going into this will be the biggest determining factor on whether your travel blog will soar at high altitudes or never make it out of the airport. So now let’s get to the nuts and bolts stuff! In this how-to guide I’ve mapped out the action steps I took to build a blog portfolio that earns me an excess of $6,000+ monthly in passive income and I hope that by following this you can do the same. It’s really not as scary or technical as it sounds. Don’t worry, follow this step-by-step and you’ll have your website live and online in the next few minutes. The good thing is, by doing it the way I’m going to show you, all of your domains, hosting, website builders, site health checks, affiliate marketing training, keyword tools, community and support are all going to be conveniently based in one place – Wealthy Affiliate.com. Your travel blog is going to be your online platform you’ll use to share your awesome travel experiences with the world. Registering your domain is the first step to going live on the web. Your domain name is what people will type in to find your website. Click on ‘Build My Website! and you’ll be given 3 options; a free domain, a domain you aready own and register a domain. Free domains vs. paid domains – which option should you go for? So you have a choice here whether you want to start your travel blog on a free domain or pay to have your own. A free sub-domain looks like ‘mytravelblog.siterubix.com’ and your own paid-for domain looks like ‘mytravelblog.com’. Although free domains are ideal for bloggers looking to start a blog on a shoestring budget because they’re, well… free, I recommend you choose the ‘Register a domain‘ option and pay for your own domain. With your own domain you have full creative control over your blog, it looks clean and professional giving you and your site more credibility. But most importantly (and this is the deal breaker for me), with a free domain you don’t actually own your income generating asset. If you’re starting a travel blog to make money, it’s worth investing into the future success of your online business and get your own domain name and web hosting. The good news is starting a blogging business takes very little capital investment compared to say, opening a shop on the high street. With an online travel blogging business there’s no rent to pay, no money needed to invest to create your own products, no shipping and storage costs and no expensive staff rates. For a flat fee $47 a month your travel blog can be open for business 24/7 to a global audience. Everything you need to launch and build a thriving online business is included. (No 12 month contract which means you can try it out and cancel anytime). The shorter and more memorable the better. Enough said. Wherever possible, grab a ‘.com’ domain extension – as this is the most popular, carries the most weight and what people often type automatically. A unique name is better than a keyword domain – A keyword is what you want your website to come up for when people type that phrase into Google. It’s better to have a strong, memorable brand as a domain name. Quick quiz: What do these popular website domains have in common? TravelRepublic.com, Quicksprout.com, Yahoo.com, Buzzsumo.com, Twitter.com, Google.com, Vogue.co.uk, Reddit.com, Expedia.com. Answer: They’re short, snappy and to the point making them easy to remember. They’re strong and brandable. They’re all .com domains (recommended) without hyphens or weird mis-spellings. This being said, it’s not 2001 so finding an ideal domain that’s actually available will take a little digging and a spark of creativity. Think a little outside the box. A website theme is the template or layout for your website. The easy website builder means you don’t need to do any coding, simply choose from 2,400+ free themes and let the website buider do the rest. See, I told you building a website was easy! All themes are completely customisable and you can change your theme anytime you want to. Once you’ve found a theme you like, go ahead and click ‘Build my website’. Then sit back in awe as the website builder works it’s magic! If you set your timer, you’ll see your site is being built in less than 34 seconds. Step 3: Break open the champagne – your website is LIVE! Go ahead, open a new tab and type your domain name in the address bar. Congratulations, you are now the proud owner of your very own travel blog! Once your site is built you’ll be given a user name and password needed to log in to your website. You can also access you site at anytime by going to WealthyAffiliate.com. To give your blog a unique edge, you don’t have to reinvent travel blogging as we know it, just just need find your own unique twist. Lots of normal speaking people sit in front of a keyboard and suddenly feel this urge well up inside them to write Shakespearian old English. Your number one tool in making your travel blog different to the plethora of blogs already out there is your personality. No-one thinks the way you do, so don’t hold back. Let your personality shine through, write naturally as if you’re sitting on your living room sofa talking to a close friend. This is the easiest way to make your travel blog stand out. What kind of travel blog ? Let’s take a quick look at travel blog niches. In the simplest way, a niche is a target audience, it’s the specific group of people you’re writing to. Narrow down ‘travel’… Sure you’re starting a travel blog, but what kind of travel? Are we talking adventure holidays off the coast of the Antarctic, or clubbing holidays on the island of Ibiza? Remember the 7 sure-fire questions I asked you at the beginning? Take a few minutes to think about who your ideal reader is and your blog goes from a generic ‘travel blog’ to a more specific ‘African Safari travel blog‘ or a ‘Student gap year backpacking travel niche‘. Deciding on a more specific niche for your travel blog is as easy as asking “What kind of travel do I like?” and then focusing on that. With your target reader in mind, it’s time to have a little fun and get some content up on your blog! All bloggers communicate, but precious few connect. I see many bloggers never asking their readers to leave a comment, or worse still, not even allowing comments on their site at all (scratching my head in bewilderment). The comments section gives your audience the chance to respond, to interact with you, share their own stories and ask questions. Blogging should be a two way conversation. Invite them to share their experiences, ask them what they think about that video you uploaded or that blog post you published. Build up a following on social media sites like Facebook, Twitter and Pinterest to help get your name out there. Out of the 3.5 billion people online every day, you’ll find a tribe a people interested in what you have to say. Don’t hesitate, once you’ve started your blog, create social profiles on each of the main networks specifically for your blog. Make it easy for people to share your content by adding social sharing buttons to your site. I use the Mashsharer plugin for mine. Reply to comments, emails, Tweets etc. Get involved in the discussion, inspire and engage with your audience and you’ll see how far it can go. I’m not saying you have to reply to every comment on every comment on YouTube but showing a little goodwill by answering a number of them goes a long way. If someone takes time out to write out a comment please be nice enough to reply. Building your email list from day one is by far the most effective way to build trust and rapport with your readers. Emailing autoresponding software provers like MailChimp (free) and AWeber (paid) give you a form you can put into your website sidebar and start collecting email addresses from readers who like what you have to say. When someone signs up to your mailing list for future updates they are giving you permission to contact them. Use email to share a latest post, take a quiz, share your recommendations. In a nutshell, email marketing is low-cost, easy and direct and it works. This is a biggie. Here’s a simple truth with you here should underpin all of your blogging efforts: bloggers who are the most helpful are the most successful. How do you help people with a travel blog? Easy, you recommend the best sites to see, make hotel recommendation, share what you did and how you did it. You see, blogging is more than just telling stories, it’s taking people with you on the journey. It’s using your writing, images and videos to show your readers your globe trotting antics. It’s about grabbing your readers’ attention on an emotional level. In this video from Kristen @ HopscotchTheGlobe.com she shares her love of travel and it stands as a great example of how your content can engage and inspire, helping people turn their travelling dreams into a reality. Once you’ve started your unique travel blog and you’re getting a steady stream of traffic, it’s time for the fun bit – making a profit! you’re creating your travel blog to fund your travels, build an extra income or become an internet millionaire, it all comes down to this. So how do you make money with your travel blog? By helping provide your readers with solutions and making recommendations you can be the proud owner of a very successful (and profitable) online business. Think about the last time you booked your flight, bought that new camera or made a hotel reservation. You researched online, considered your options and made a purchase. The chances are you did that through an affiliate link. Affiliate programs are everywhere and they are free to join. Think of any company and they probably have an affiliate program. Travel bloggers make money when they sign up to an affiliate program, get their unique link and add that to their blog. Some travel affiliate programs will pay you up to 75% commissions. The best thing about monetising your travel blog through affiliate marketing is that you don’t have to become a pushy salesman or become a sell out. You just mention relevant products or services in passive when it’s relevant and helpful. It gives your readers real solutions and you make money in the process – it’s a total win-win. I’ve partnered with Wealthy Affiliate to give you the best chances of success. People say it’s hard to get a blog of ground, it’s not if you have the right know-how. How do you get tons of traffic (visitors) to your blog from Google? How you do leverage the power of social media to build your online brand and make more money? This is all covered step by step within Wealthy Affiliate’s Online Entrepreneur Certification course. It’s here you’ll discover the exact steps I took to build a blogging portfolio that today earns me more than $6,000 monthly. Your future as a travel blogger lies in the training, first class website building tools and community support I’ve given you full and instant access to. If you haven’t yet, create your account here and soon enough you’ll be blogging like the true pro that you are. “It’s all in a name. Seriously, it really is. In today’s world, more or less everyone has the attention span of a toddler. “You can’t achieve your goals if you don’t know what they are. In order to have a successful travel blog, you need to decide what success is to you. Do you want to have 100,000 readers a month, publish a book, improve your writing and photography, use your blog as a platform to get work or to have an online diary you can be proud of? “Everyone one their grandmother asks me how I make money from my travel blog, but the question they SHOULD be asking is how did I build an audience. “I would say that content is 90% of the work. In order to create a ‘following’ (subscribers to your blog, and social media followers) you need to create good content. People who believe, agree with what you say. Having to keep up with content. Posting 1-2 times a week and trying to travel the world, while keeping up with weekly posts. -_- It requires discipline. “Be in your videos. Ok, let me expand. People may find your travel videos by searching for a place or a thing, but people will keep watching your videos because of your personality. Through videos, viewers get to know you and can connect with you, in my opinion, much more so than through writing. At first, your blog may not make very much money from affiliate marketing, but over time, as it grows, you’ll start to see your sales and income grow with it. This is the great thing about blogging and particularly affiliate marketing. It’s a natural progression. Cut out the guesswork ad get the right know-how. Wealthy Affiliate will transform you from an aspiring newbie to a seasoned pro. Are you ready? Got any questions about starting a travel blog (or any other type of blog?) Ask away in the comments below and I promise to get back to you! I’d also love to hear from any experienced travel bloggers out there – would advice would you give to aspiring bloggers just starting out? Oh, and if you think others would find this helpful, please share using the social buttons below – I had to make my brain work super hard for this one! I agree with you. I think affiliate marketing is the best way to finance travel and the best way to earn recurring income. One post can continue to earn money for years, over and over. You just need to learn how to do it the right way. Affiliate marketing is what they are referring to when they talk about ‘make money while you sleep’….or while you are flying to a New Mexico, or while you are waiting for the next train to Salzburg, or sailing on the…you get the picture. Thanks Janelle, a really good point. One of my favourite things about blogging is that, unlike a convention clock in and clock out job where you go, do the work and get paid… once. With your blog you put in the time and effort to write a blog post like this and you get paid time and time again. Actually the original title for this post was “How to start a travel blog and get paid again and again” so thanks for bringing that up! Nice! I and my family are always traveling. I wonder before if I can make money while we are traveling and spending money too. Now I know, I can make money while traveling by simple writing a travel blog and get paid, I will sure try it in the future. Thanks for sharing this. Family travelling or starting a blog about travelling with small children could be a great niche and really help you stand out as many travel blogs tend to be young professionals travelling i their gap year. If you have any questions along the way, don’t hesitate to shout out! I really would love to start blogging but I can’t seem to find a decent hosting. I see really bad reviews of various hosting companies. However I have not seen a single bad review for Wealthy Affiliate’s hosting service. But I want to know that what is your experience about the speed and security? I host all of my websites (including this one you’re reading right now) with Wealthy Affiliate’s web hosting, primarily because it’s easy to have all of your domains, emails, website building tools and affiliate marketing training all under one roof – the ultimate one stop shop for online business. But 3 years on I continue to be impressed with the website hosting Wealthy Affiliate offers. They’re constantly innovating too. I’m not exagerrating when I say their web hosting is the fastest, most powerful and secure web hosting in the world. They have lowest downtimes (site your site is down due to server issues) in the industry, they do daily backups of your site, you can check your Site Health, status of Google indexing and get community feedback on your sites all in one place. SiteSupport are on hand if you have a technical issue. They reply within 1-2 minutes! I’ve never seen anything like it. And they’re polite, friendly and know what they are talking about. Compare this with the likes GoDaddy or NameCheap where you’ve got to send an email and wait 2 days for a reply before the fun game of back and forth – no thanks. Wealthy Affiliate just introduced free SSL with their web hosting. (going from http:// to https://) GoDaddy charge an extra $50 for this. Google rewards faster sites with higher rankings. This is why as of April 2017, the SPEED platform will be included as standard resulting in faster page loading speeds, an edge on your competition and higher rankings as a result. The bottom line – when it comes to your online business, you owe it to invest into the best web hosting. Knowing they have my back and keep my blogs ticking over around the clock helps me sleep better at night. Check out My Experience of Wealthy Affiliate 3 Years On: Successes & Failures, Challenges & Set-Backs for my full review where I take a look at not just the hosting side, but the training, community, tools and support too. I hope this helps. Hi Simon! I really want to start a travel blog but I don’t have my own camera. I’m still a student and a person on a tight budget. I just want to make my own money first without using my parents. Do you have any ideas how to make some extra side income first? im starting my first ever blog soon. So please share some of your expertise and tips on how to do this? I can see you have a very good way of thinking about things. Can you help? You don’t need a top of the line camera or be an expert photographer to start a travel blog. Honestly most phones have great cameras nowadays and if anything it’ll add a bit of authenticity to you blog and give it character! If you’re needing money now, take a look at 7 Legitimate Work From Home Jobs (With No Start Up Fees) for online freelancing job opportunities. I’d love to hear how you get on. You can do it! To your online success. I love this site, you have really inspired me to become a travel blogger and start earning money for myself. I am fed up working 46 weeks a year to save up and go on a few holidays per year and would much prefer to be constantly on the move. Wealthy Affiliate seems like a realistic way to achieve this. Is this only for travel blogging or can anyone join? Thanks Craig, if this post inspires just one person to escape the 9-5 grind and make their dreams a reality through affiliate marketing, then it was worth writing this post. You only get one life and it goes so fast! We need to make the most of it and honestly, one of my biggest fears is having regrets later in life. I refuse to let life pass me by! To answer your question, Wealthy Affiliate’s slogan is “Turn your passion into a thirving business“. In this post I gave travel blogging as an example of a niche idea you could use but really you can be successful (and all the things in this post can apply) with a blog on fixing car engines, becoming a hair dresser, caring or your pet golden retriever… the listis endless. Your blog is very inspiring! I would love to travel the world and be able to write about it. I think once my first website works out, I’ll start a travel blog. would you only be posting blogs after your trips? and is a travel blog harder to monetize than any other site? Hey thanks Kevin, I appreciate that 🙂 Monetising your travel blog with affiliate marketing is not difficult because there’s naturally related products you can promote or mention within your posts. For example, linking to Trip Advisor so readers who are thinking about going to the country you’re in can read hotel reviews is not salesly in any way – it’s just helping your readers find somewhere to stay, and what better than to get recommendations on someone who’s already stayed there? A travel blog is not more difficult to monetise, but travelling blogging generally is quite saturated. There’s lots of established, professional travel bloggers out there. That doesn’t mean it’s too late to start a travel blog but as I say in the post, you need to come up with slightly different slant, a unique angle that’ll make your travel blog stand out a little in a competitive niche. Only posting during trips? That’s a good question. Can you blog about travelling when you’re not travelling? I think you can. In fact, most travel blogs are written by people who don’t travel full-time. Even when you’re not travelling you can still talk about your past travels and the lessons you took from it. Wow, you really wrote an awesome post here full of great information! I like the idea of a travel blog although I cant really afford to do it. For someone looking to start any type of blog website Wealthy Affiliate really looks like a good place to start. Do you like it? It looks like it’s working for you. You blog here really stands out and I can tell you put alot of work into it. Good information here! Thanks Dave, yes it does take time to a beast of a blog post like this together and as I say, I made my brain work hard but I wanted to try and answer as many questions as possible about not just starting a travel blog (anyone can do that) but how to actually start a travel blog and get paid. I think travel blogging for profit and blogging as a hobby are two vastly different things! Yes I didn’t really talk about it in this post, but I have been a Premium Wealthy Affiliate member for over 3 years now and I never plan on leaving. It was in March 2014 I created a free Starter account, consumed the training courses and worked day and night for the first 3 months. Long story short (see my about me page for more info) I made my first sale after 2 weeks, after 12 months I quit working for energy company I was working for in Leeds, England and finally made my dreams a reality by helping give slum children in Thailand a brighter future. I’m loving every second of it. This is a direct result of the training and advice, support and help I’ve been give at Wealthy Affiliate. If I can make a success of this blogging malarkey, absolutely anyone can that’s for sure. 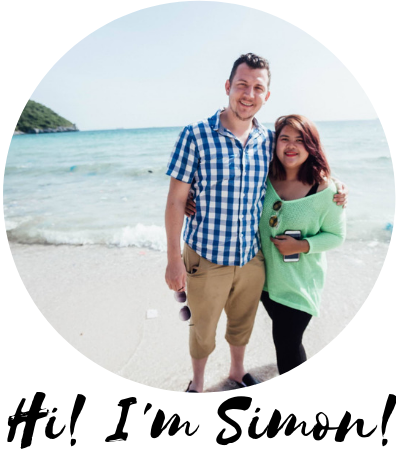 Hi Simon – great page content. I am always researching online looking for ways to make some side money online. Blogging certainly is a great way to do that. What I like about your page is the detail and the step by step process you provide. I had to admit I a travel blog is a pretty good idea. I do some traveling for work and get around all over the United States. I usually have some free time on those trips to see a few sights. I could easily turn those trips into something more. My stepdaughter has been interested in getting into affiliate marketing as well. She is currently an at home mom. Her husband doesn’t want her to work, but she is looking for something to do. She could easily setup some niche sights with the help of your info here and start generating some income. Totally, starting a blog in any niche (travel, health, photography, food to name just a few) can be a great way of building up an extra income to the point where it ends up becoming your main source of income like it did me. Starting a travel blog about your travels within the United States could be a great niche idea! It’s a big place full of variety and I’m sure people who have only dreamed about visiting the States would love to hear about your adventures. Next time you’re in San Francisco, or visiting the great Canyon or walking down the streets of New York, grab your phone and take some shots! Thanks for posting such a genuine and interesting article. I would love to follow your advice and do some travelling, but circumstances don’t allow for this at the present. However, I will keep your website in bookmarked file for later on. The idea of being your own boss and have financial independence is also very appealing, something to work towards. I am also lucky to have found WA, so I am working on the financial freedom part for now. Hey! Thanks for dropping! Obviously this post is on how to start a travel blog but really you can start a blog based on anything you’re interested in or enjoy talking about. You may find What to start a blog about? helpful. Also, here are 10 hot and trending website niche ideas for 2017 that might by spark an idea or two. Honestly now I work for myself, when I want, I would find it very hard to go back to asking permission to go the toilet or have an holiday etc. There is no feeling like working for yourself – yes you work hard but you know you are buiding a blog, an online business, an asset that 100% belongs to you. If you’re interested, I run a free 10 day make money blogging course. It’s all done by email. You might get some value out of it. Hi, Simon. Such a great and comprehensive article is here. I am a member of Wealthy Affiliate already. If I was not, I would jump to check this oportunity right away, no waiting or thinking because you already showed benefits of being a Blogger and member of Wealthy Affiliate. Overall it easy to start a website, start a blog and spread it on the social media. There plenty of successful members at WA who are examples of success. To reach this status, traits such as discipline, perseverance and patience are must to have. I am happy that you with your article will attract more people who value freedom and ability to make decisions by their own. I’m so happy to hear you’re liking what Wealthy Affiliate has to offer and yes, I too see members sharing their success stories everyday and celebrating milestons like getting their website ranked in Google for the first time, making their first sale, hitting their first 1,000 email subscribers. It’s a great online community of like-minded entrepreneurs and do-it-yourselfers all pushing each other on to greater things. Here’s to more and more people discovering the freedom that blogging can bring!